1:1 Last – True half sizes. 3D Molded Tongue – For easier lacing and an even flex throughout. Articulated Cuff – Eliminates shell distortion. Performance Backstay – Enhanced spine support. 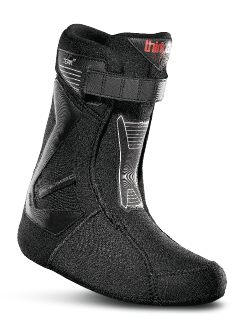 Power Cuff – Adjustable support. Team Liner – Heat moldable dual density Intuition foam. Team Harness – Standard height with medium support. High flexibility and heel hold. Pressure Pad – Alleviates internal lace bite. Independent Eyestay – Supportive fit. Team Footbed – Molded footbed with heel cradle and arch support. 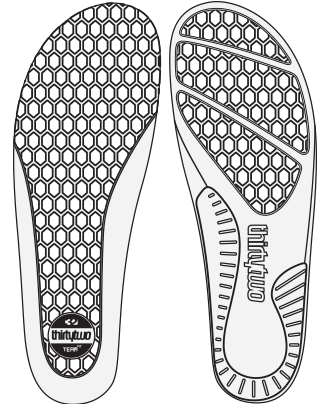 STI Evolution Foam™ Outsole – Lighter in weight with all the same cushioning.